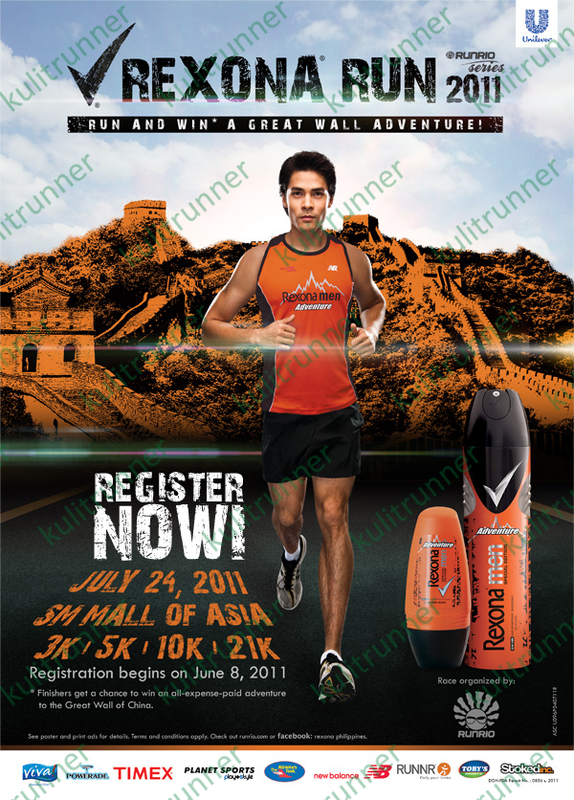 Get the Runrio Timing Card for FREE when you register for the Rexona Run 2011 which is scheduled on July 24, 2011. Cheers! 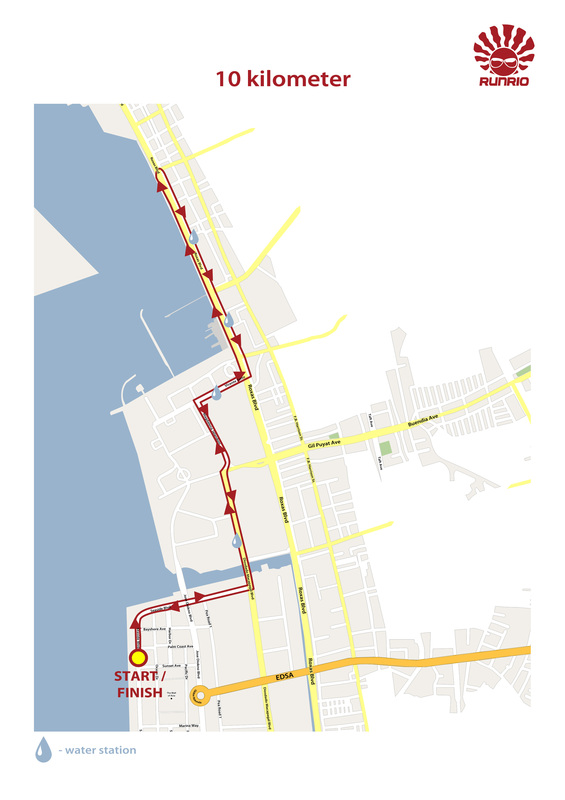 Get Ready for the Runrio Trilogy Leg 2 – Run United 2! 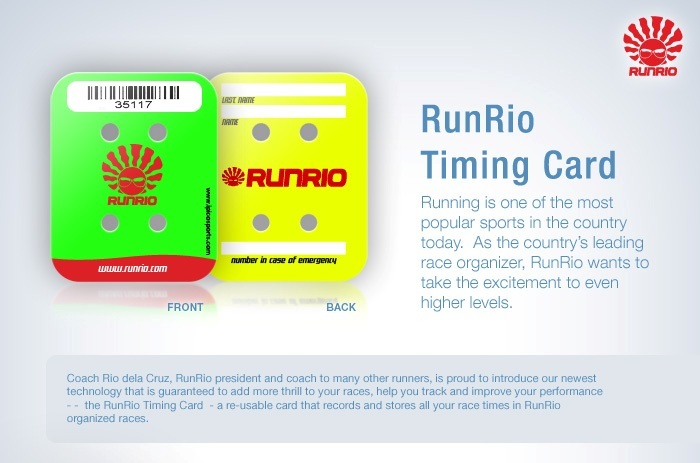 On Saturday, June 18, RunRio, American Express/BDO together with Runnr will launch the newest innovation that is guaranteed to make RunRio races even more exciting and fun – the Runrio Timing Card. Be the first to know all about it and hear it straight from Coach Rio himself. You can also register for the Yamaha (July 3), Rexona (July 24) and Milo (July 31) races during this event. 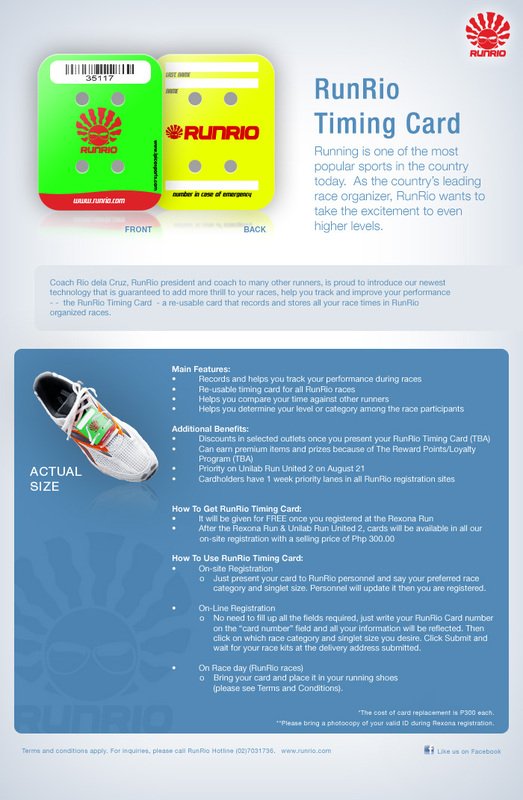 Register for the Rexona race (July 24) and get the re-usable RunRio Timing Card as part of the race kit. 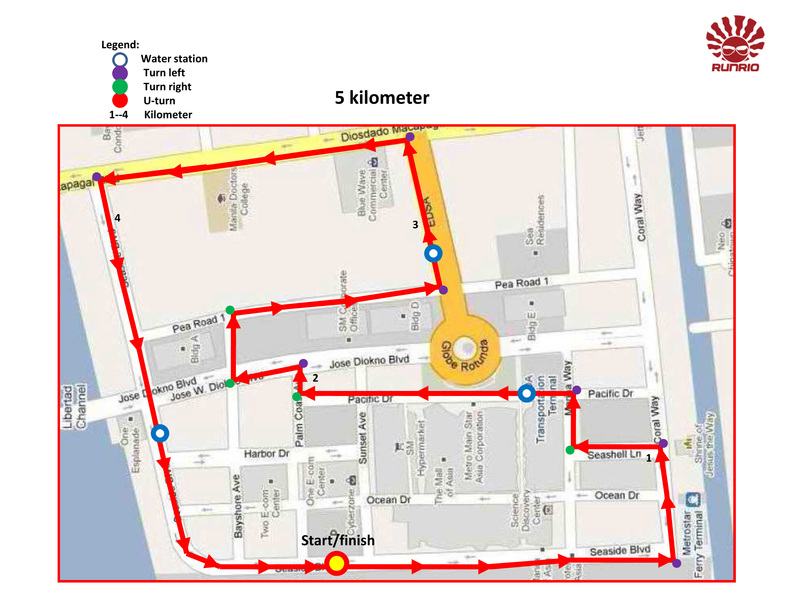 The 4th leg of the Runrio Manila Series is the Rexona Run 2011. 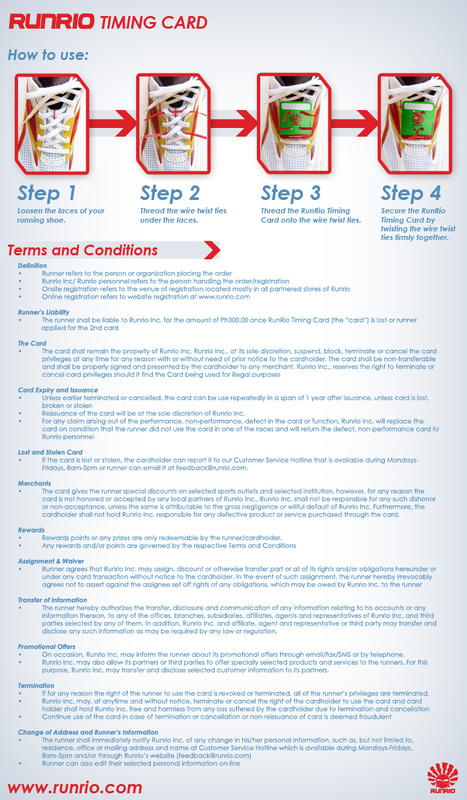 If you folks will remember, it is in the last year’s edition of this race that Runrio, Inc. gave out the Runrio Membership Card. Unfortunately, we were not able to use it as it was meant to be and eventually, Runrio scrapped the whole Runrio Membership Card thingy altogether. 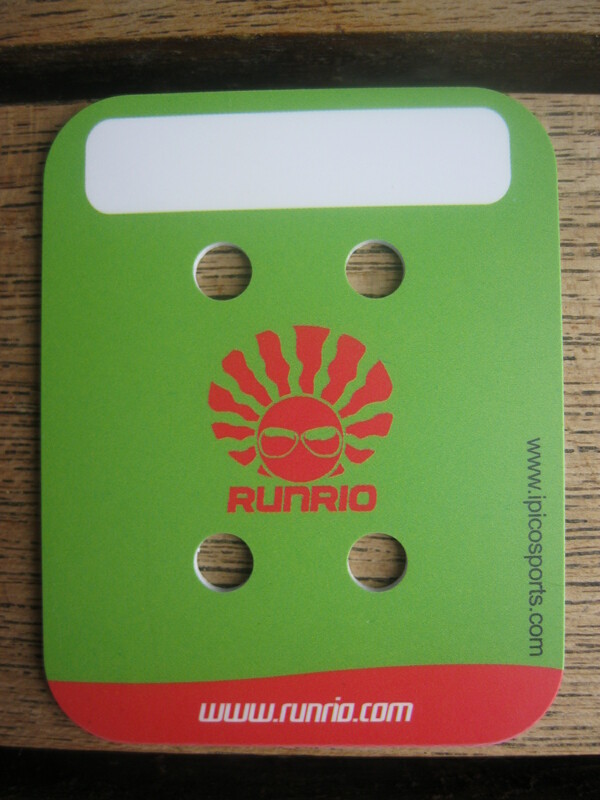 This year though, as if to make it up to the runners, Runrio President and CEO, our very own Coach Rio Dela Cruz decided to make earlier his promise of giving away his new RUNRIO REUSABLE TIMING TAG. Do know though that Runrio will only be giving away this new timing device for FREE during this race. Afterwards, runners will have to purchase his own reusable timing device for them to be able to participate in select Runrio races. 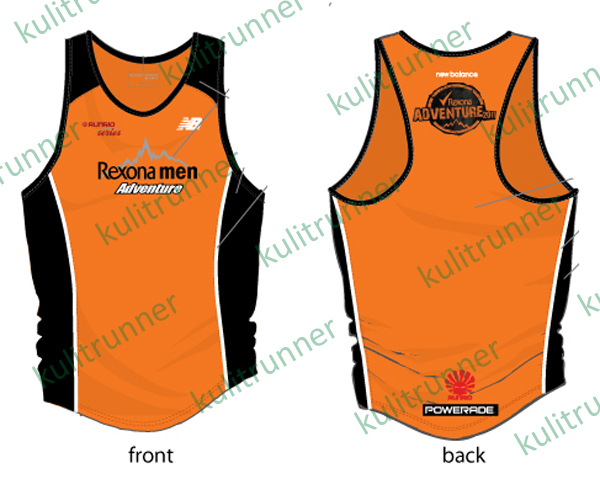 Oh and didn’t I tell you that all Rexona Run 2011 race finishers will get a chance to win in a raffle whose prize is an all-expense paid adventure to the Great Wall of China with a bonus of being able to participate in the Great Wall of China Marathon for FREE! 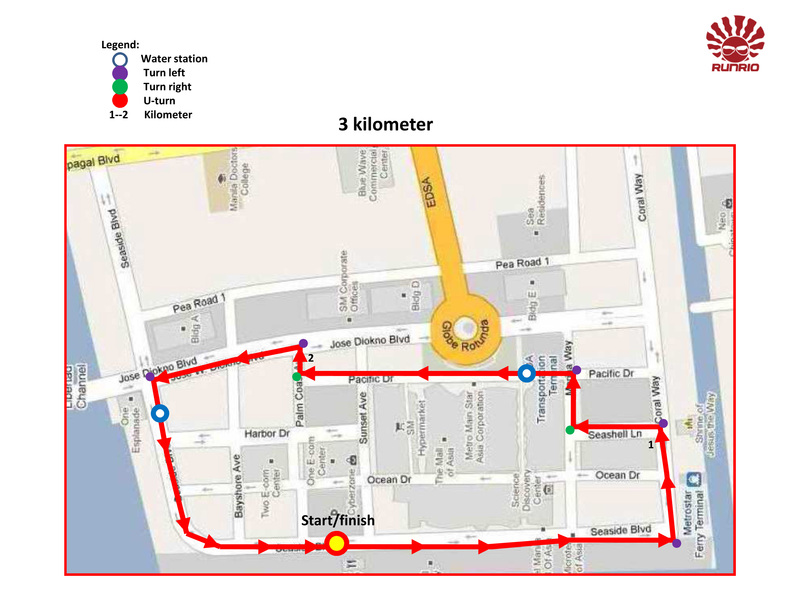 Finally, after saying a mouthful, here are the basic details of the Rexona Run 2011 event. Read on! 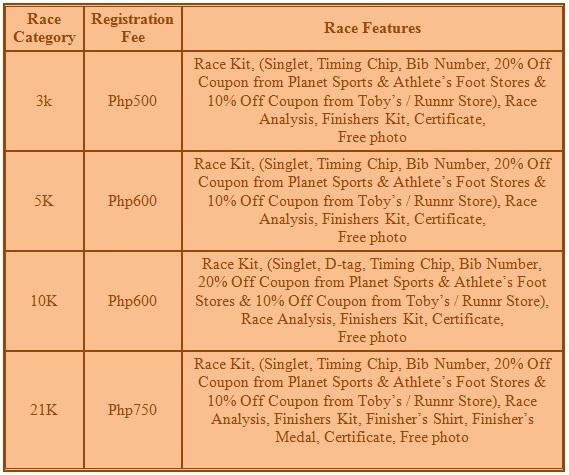 Delivery of race kits will start on June 17, 2011. Registration may end earlier than announced deadline therefore; race kits may run out before July 10, 2010. As Nestle Philippines celebrates its 100th year of being part of the Filipino family, it takes its yearly Milo Marathon race into a higher level. For this year, NPI partners with Runrio, Inc. in organizing the 35th edition of the Milo Marathon Manila Eliminations and National Finals and also taps Runrio as the timing partner for all Provincial legs. 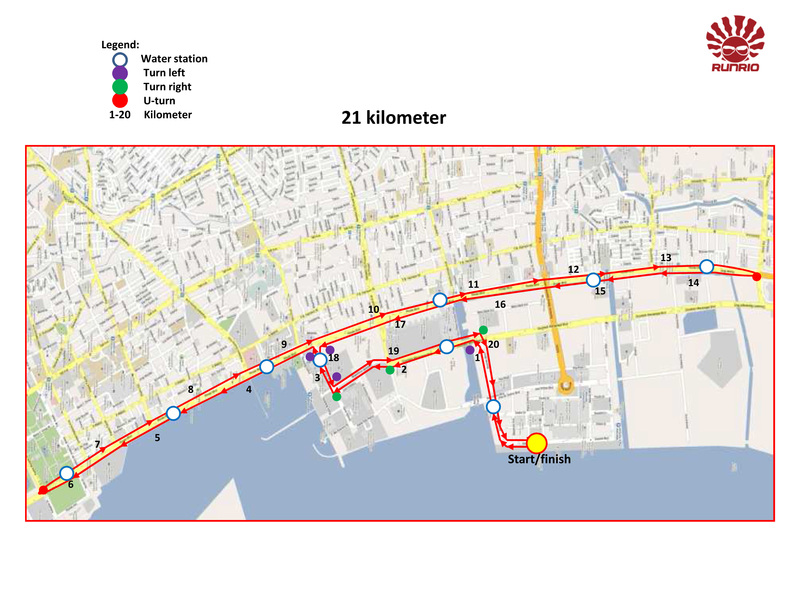 This means that Milo will be the first one to make use of Runrio’s new disposable timing technology – the B-Tag (or the Bib-Tag). The B-tag is a timing device that is already attached to the bib – no need detach and attach into the shoelace! But the best thing about this year’s edition of the Milo Marathon is that Nestle decided to donate 100 pairs of shoes to 100 schools nationwide! Awesome, huh! 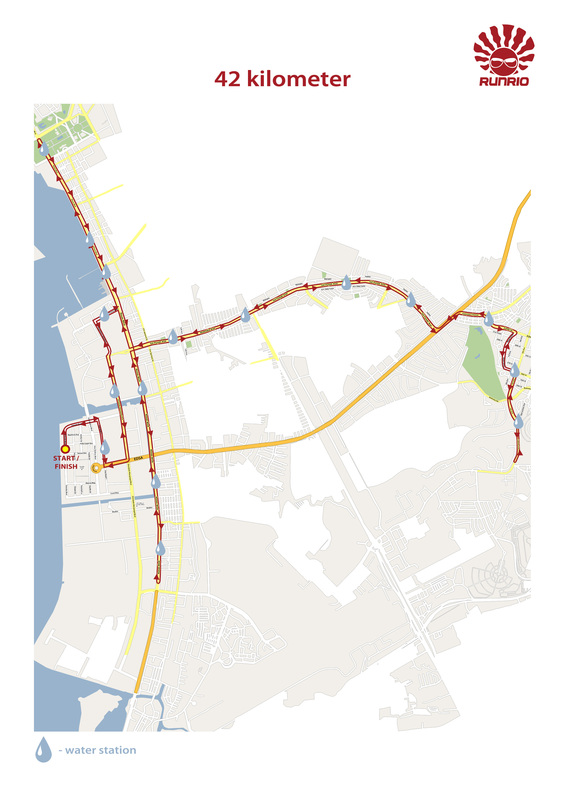 Runners should reach a particular distance within the time limit specified to be allowed to continue with the race. Otherwise, runner must stop running and board the official vehicle. 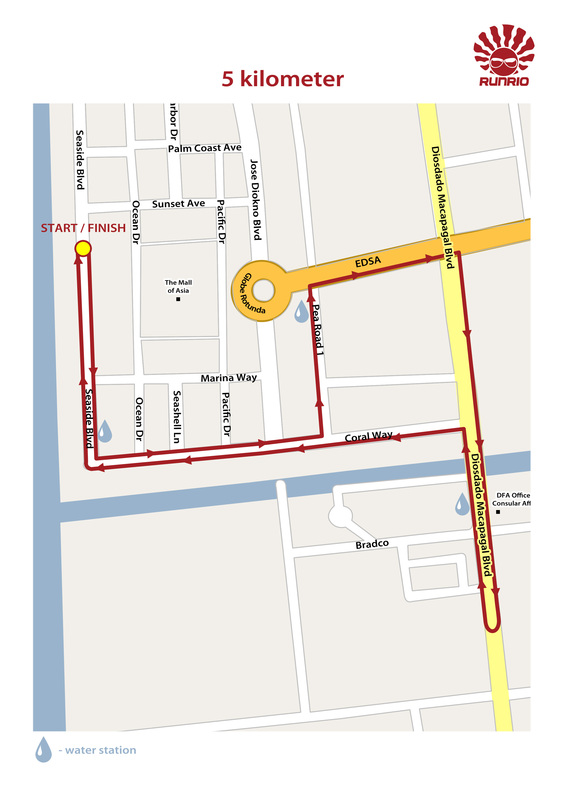 They are automatically disqualified and will be taken directly to the finish venue. 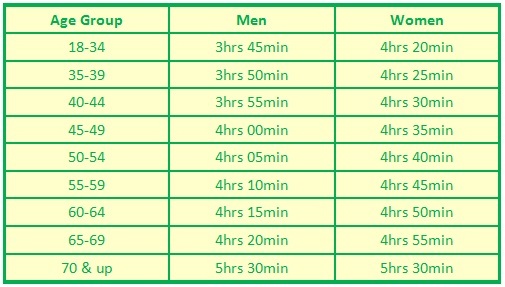 Each race category has an official cut-off time. 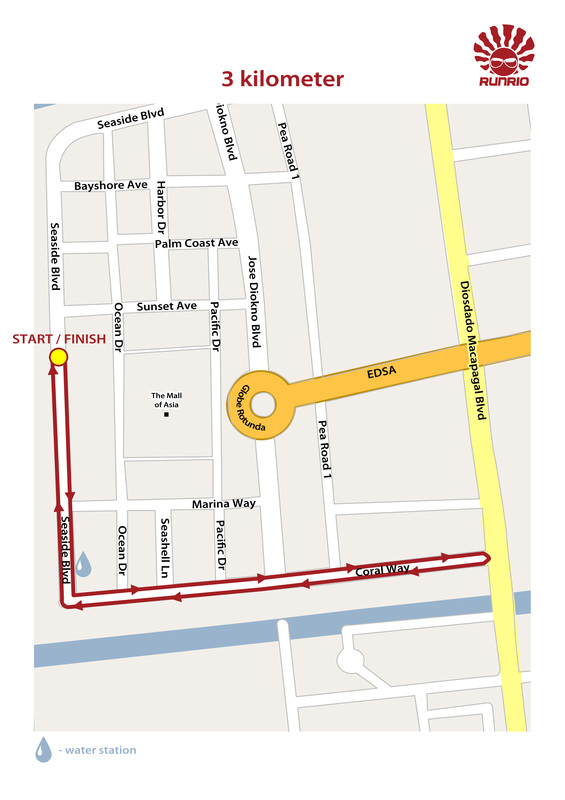 • Registration may end earlier than announced deadline therefore; race kits may run out before July 21, 2010. 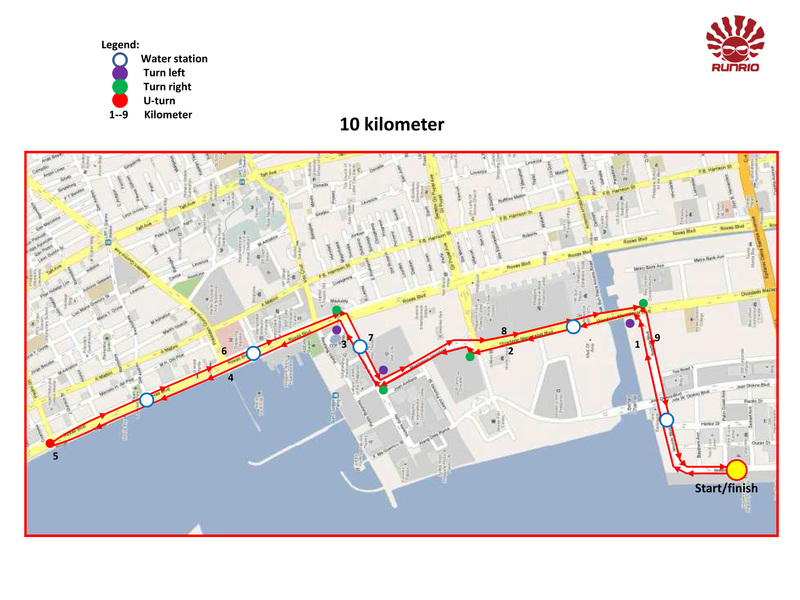 • A disposable timing device will be used by all participants during the race. 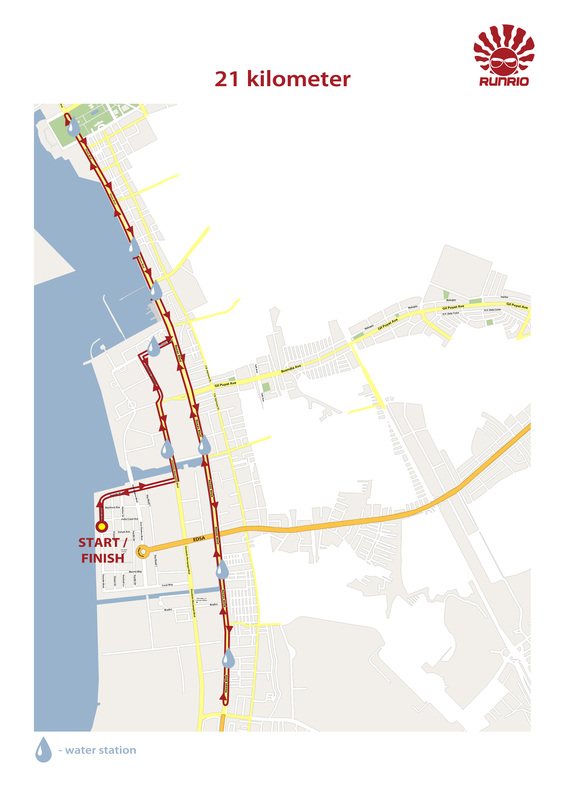 • Finishers in all categories within the cut-off time will receive a certificate of finish. • All 21-K finishers within the cut-off time will receive a finisher’s medal and loot bag. • All 42.195K finishers within the cut-off time will receive a finisher’s medal, a loot bag,and an exclusive finisher’s shirt. • For questions and inquiries please contact (call only) any of the following Runrio hotline numbers from Monday to Friday (9:00am – 6:00pm). Hello everyone! I would like to apologize to all those who went to ROX to claim their free AKTV kits earlier (Thursday, June 2). The kits were not completed in time for the original scheduled delivery. As of 10pm, Thursday, kits are still being prepared/packed. My advise to everyone is that although there is a new commitment of kits being available this Friday, it is best to go to ROX to claim by Saturday OR just claim it early morning of race day Sunday at the Runrio Registration Tent at the AKTV Run activity area in MOA.